When I started this blog I wrote a piece called "The Price You Pay For Being A Horror Fan" (which can be read HERE). What I'd like to talk about here is being a collector in today's economy. 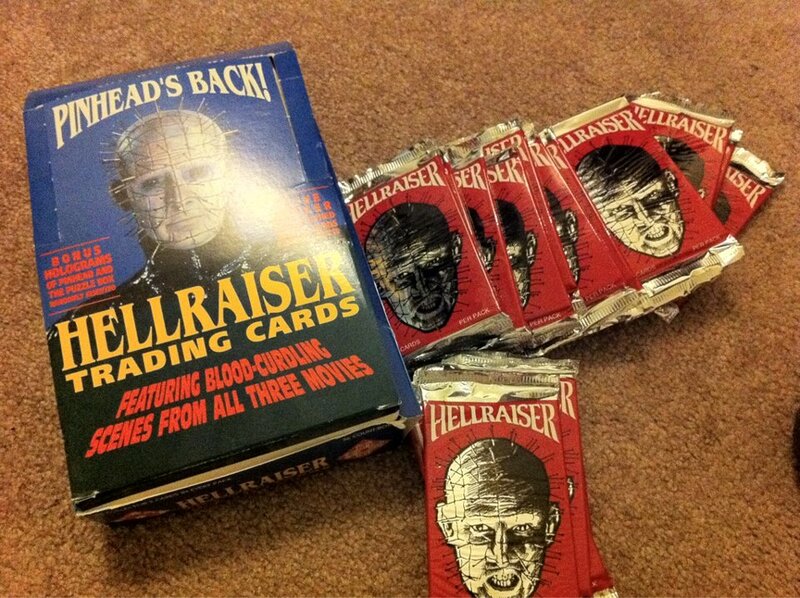 As an avid collector myself I feel very close to this subject, it's more than a hobby, it's part of my life. I know for a fact I'm not the only one out there, there's many, many others. But I have noticed that each year there seems to be less and less. Ever since I was a child I have been a collector, it all started with Pogs then as I got older it was all about music then when the Horror bug bit, that was it. My first Horror collectable was a Michael Myers figurine which is still in it's box to this day, proudly on display. 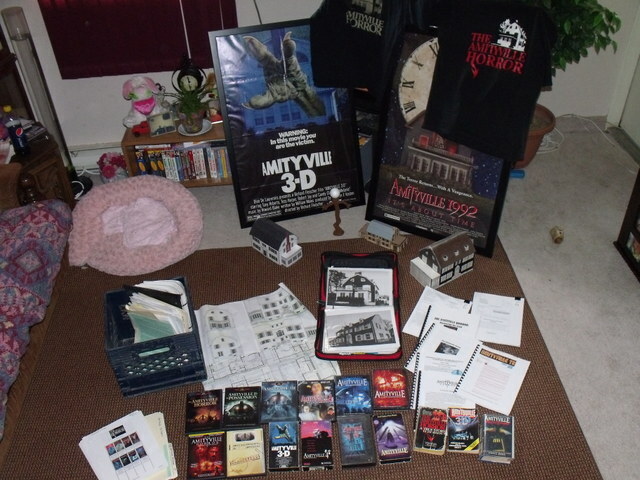 From that one figurine bloomed many more collectables including signed pictures, rare VHS, more figurines and many more miscellaneous objects. It's my pride and joy and I will value it forever. 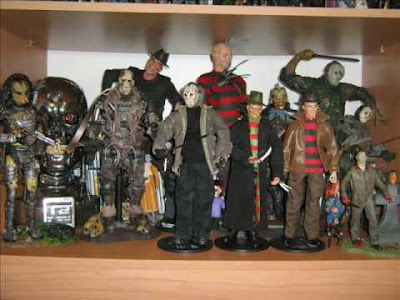 There are many different types of collectors, ones who stick to certain film franchises, just want signed pictures, just figurines or even just having a Horror film collection. I'm more of a genre collector, I'll collect different items of different films that I'm a fan of. Being a collector used to be a big deal, in some ways it still is but I have noticed that there are less and less people involved in this so called hobby. I've even seen avid collectors selling their stuff as they no longer want it any-more, if it were for financial reasons or another emergency situation then it would be under-standable but because you "Just don't want it any-more" is something I will never understand. When you spend your life trawling through auctions, shops, wherever you feel you may find that one collectable you've been searching and saving years for why would you just abandon it? 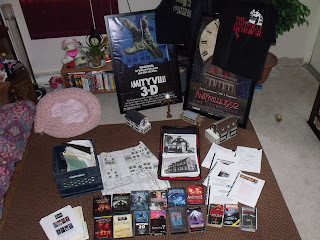 One side of collectables that is nose diving is the film collector. With today's digital age more people are downloading and storing films on computers rather than buying physical hard copies of the film. Too me having a bunch files on a computer or burning files onto discs is not a proper collection by any means.